So this is what Mr. got me from Kate Spade. I’ve been searching for a nice wallet for a while now and this one has everything I’m looking for! Next Post return of the…. The bubble necklace in hot pink is SO gorgeous! 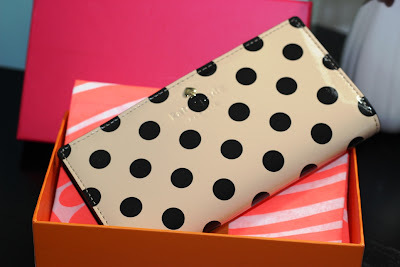 Love your Kate Spade wallet – the polka dots are so cute. I have a pink leather Kate Spade wallet – it's so incredibly well made. absolutely LOVE this, lilly! you look amazing!! and that kate spade wallet is so awesome! 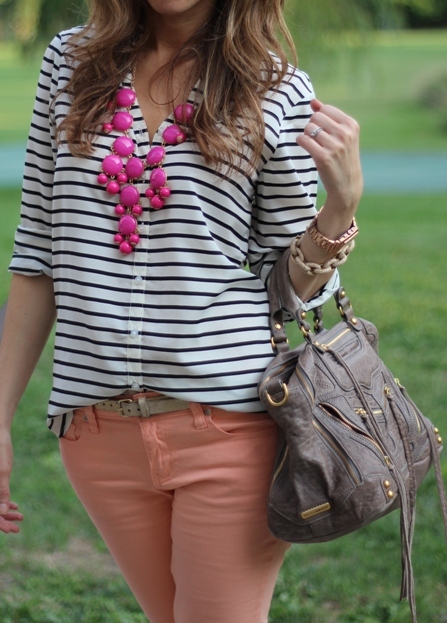 the necklace with the black and white striped top is perfection! Love the wallet! Anything by Kate Spade is simply amazing! I made the transition from Coach to Kate Spade wallet and I love the Kate Spade SO much more! It's more slim, yet still fits everything I had before. I have the same shoes from Target. I love them, but the first time I wore them, they gave me huge blisters! 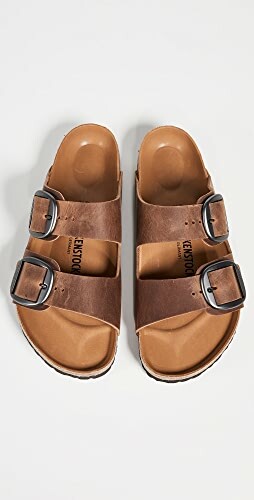 How did you avoid that/wear them comfortably? Lucky girl! I've been loving her wallets, especially the printed versions. You look amazing Lilly 🙂 I love this combination so much! 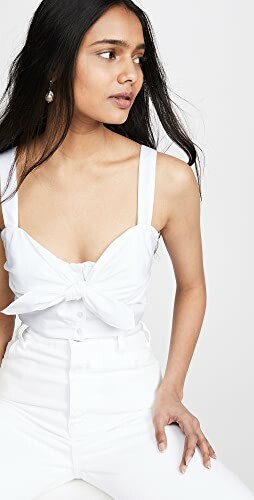 Hi Lilly, what size top did you get(if you don't mind asking), I've been eyeing that top but don't know what size to order. Thanks!! Cece, top is 50% off today! I love the pink bubble necklace. I haven't seen it on anyone yet. And the wallet is beautiful! Perfect for fall (and year round really)! I love your new wallet! What a sweet Mr 🙂 Aren't those Target flats so comfy! Love them in pink. Love this combo! The pink and peach look great together! Also love the wallet! I just ordered those flats yesterday after seeing them on Maria here! http://www.daintyanddecadent.com/2012/08/guest-posting-and-giveaway-alert.html I ordered the tan and pink…so hopefully they fit because I ordered my regular size. I love your wallet! My phone cover is Kate Spade with the white, pink and black polka dots! Fyi, this blouse is 50% off today with code FRENZY! Ordered! I love the outfit! The stripes look great with the pink. 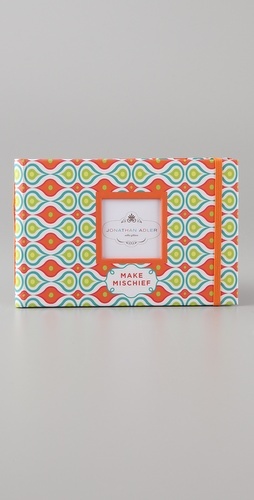 I am going to have to try out this color/pattern combo. Lilly, I love your top! Also your hair color is super pretty. I want the jcrew bracelet – I was wondering if it fits well? I have a small wrist and most bracelets that aren't stretch fall off or sit on my palm :(One day I hope to find a husband who will be sweet enough to buy me nice things! You're a lucky lady! Aww thank you so much 🙂 nice guys do still exist, the right one will find you! 😉 The bracelet is a bit loose on me too. I have a tiny wrist as well but I usually wear mine with my watch so it doesn't "fall off". Love this outfit and the wallet! Your blog is great and reminds me of whatshewore365… Which is now taken down :(. Thank you. We do have similar style. I encouraged her a bit to start a blog after we emailed back and forth for a while. 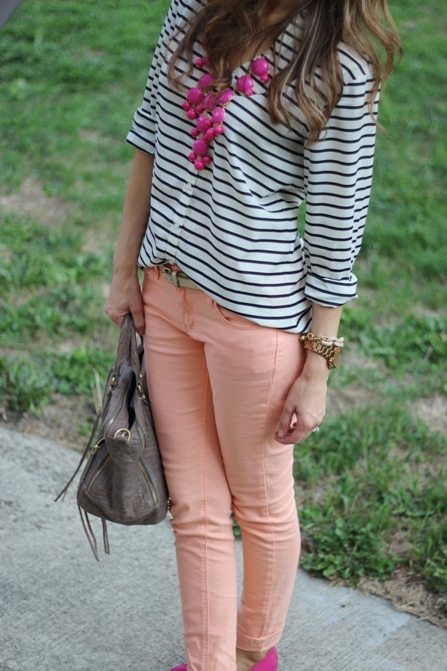 LOVE the pink with b/w stripes! LOOOOOVE the wallet. Shop Grey Pumps Shoes, White And Black Blouses, Workout Leggings, Cutout Dresses and more. Get this widget.